To be able to leave a wind turbine quickly in an emergency, European standards and occupational health and safety laws prescribe a second escape route. 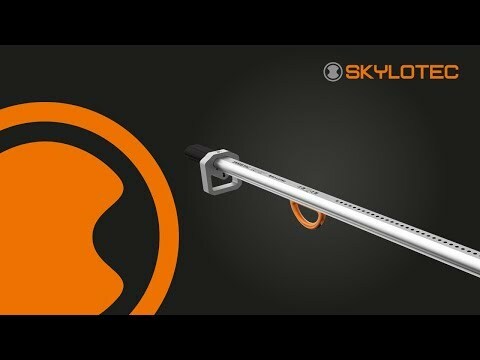 The SKYLOTEC rescue system is often used for this purpose. 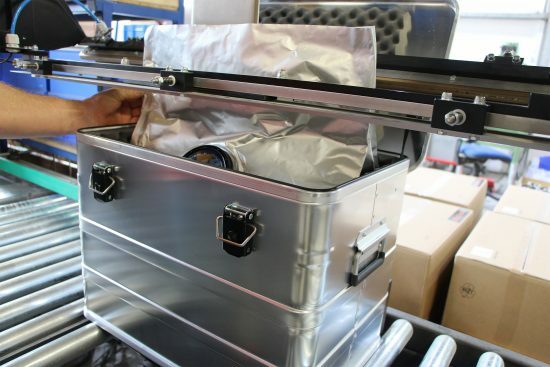 It is stored in place in the "Seal Pac" (a sealed aluminium box) for up to 10 years. Now the manufacturer of fall protection systems offers the possibility of extending the service life by another ten years. This is cost-effective and sustainable. 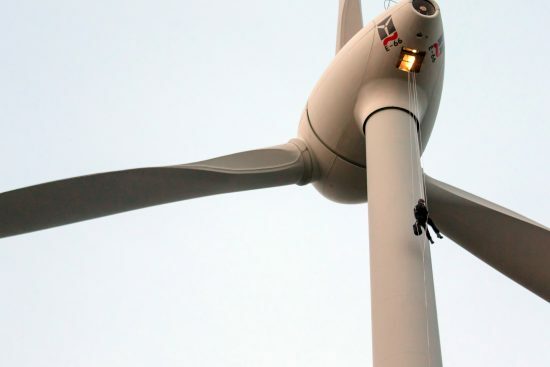 With the 'Milan' rescue device, people working on wind turbines can abseil quickly down to the ground in an emergency. The manufacturers, owners or operators of wind turbines or service companies for wind farms are responsible for the safety of their employees, including in an emergency. SKYLOTEC rescue systems are suitable in such cases, such as the "Seal Pac light to go", which is carried directly by the user, or the "Seal Pac", which is stored directly in the nacelle. This allows two employees to abseil outside the tower at the same time when a descent inside the tower is no longer possible. 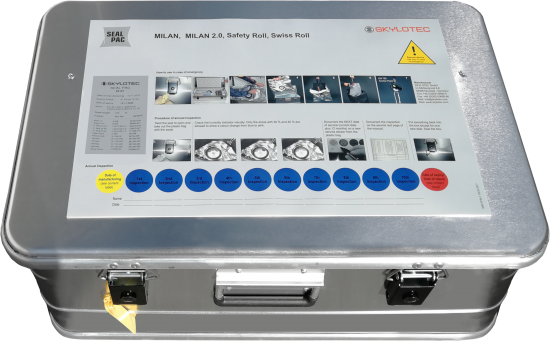 The "Milan" rescue device from SKYLOTEC has established itself as the standard rescue device in recent years. It can be stored in the so-called "Seal Pac" and has a service life of ten years if regularly checked. The annual inspection is facilitated by the fact that a moisture indicator indicates the condition of the device to an authorised inspector. If this is faultless, the inspector seals the box again with a new seal and marks it with the month and year of the next inspection. The rescue system no longer needs to be sent to the manufacturer annually for inspection. The recommended service life of these "Seal Pacs" is limited to ten years under optimum conditions. At the end of this period they previously had to be replaced. SKYLOTEC now offers the possibility of extending the service life a further ten years. For this purpose, the equipment must be inspected by the manufacturer or one of the worldwide certified service partners. Since textile components such as ropes or webbing slings are subject to a natural ageing process, these parts as well as the brake unit of the rescue system is replaced, because brake linings also become brittle, just like in a motor vehicle. The 'Seal Pac' is a sealed box in which the Milan rescue device is stored ready at hand in the event of an emergency. The “Re-Sealing“ solution is thus resource-friendly, as only certain parts of the existing equipment have to be replaced. The "Seal Pac" is resealed after the inspection and can then be used for another ten years. For wind energy providers, this is considerably cheaper than purchasing new rescue systems. The global SKYLOTEC service network further simplifies the process. In addition, the new sealing can be documented in the SKYLOTEC "Homebase". With this online database, the fall arrest specialists offer a useful tool for the complete recording of the fall protection used in a company. Administrative processes can thus be considerably simplified, especially if a statutory audit has to be carried out.